This 3 BR/2 BA home sits on just over 2 acres. The home has a 18 x 12 Great Room with tile floors. Kitchen has wood cabinets and white appliances. Master bedroom has a walk in closet. 20 x 12 covered tiled patio. A/C is 1 year old. 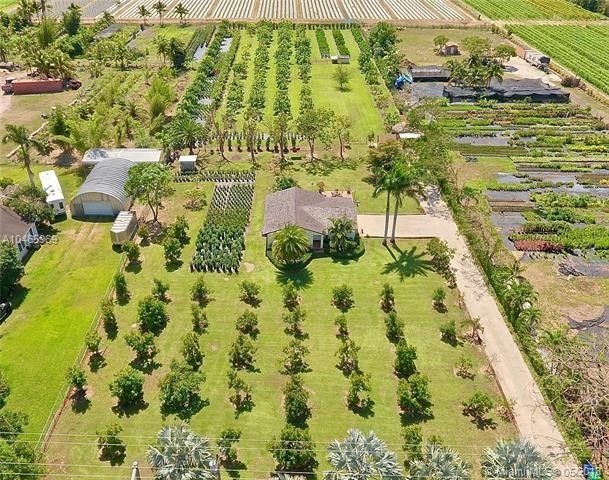 Property has many fruit trees: 50 avocado; 90 mamey; 3 lychee; 4 mango; guava; sugar apple and banana. $8,000 in income in 2018 for mamey and $2,500 in income for avocados in 2017. Pump house with 9 irrigation zones. Chicken coop with a tiki hut. Fenced in kennel. Come see this property before it's gone.